It depends on whether it’s winter and whether you’re poor. There are many ways to scramble an egg. Thomas Keller, Gordon Ramsey and Alice Waters all do it differently, yet they agree on one thing: you better do it over a natural gas stove. Households also use natural gas to heat water for showers, operate dryers, and maybe most importantly run furnaces to stay warm in the winter. The majority of households in the United States use natural gas as their primary heating fuel and American households spend about as much on gas as they do on water (50-80 billion US$ per year). The answer to that question is much harder to figure out from data than you might think. It revolves around using statistical techniques to identify a number called a price elasticity – the answer to the question “If the price of natural gas increases by 1%, by how much does the average consumer’s consumption change”? What is that thud I just heard? Your head hitting your keyboard because I just put you to sleep? Let me try and tell you why we should care about this seemingly boring number. Numerous policy questions require knowledge of this number to determine whether the government should pass certain types of natural gas regulation and pricing. In California, we are keenly interested in the implications of climate regulation and the value of reducing our greenhouse gas emissions. Nationally, we are interested in understanding the benefits of more or less fracking. You cannot get answers to these important questions without a good estimate of the price elasticity of natural gas demand. So, you think, “Well Max, I am sure hundreds of economists have estimated this number and we have a good understanding of what the number is.” Well, you would be wrong. There are hundreds of correlations between prices and consumption, but not a single causal estimate that actually tells as how big of a decrease in a household’s consumption we can expect from an increase in the price. Crazy, right? So Ed Rubin and I have this new paper. To be clear, it’s mostly Ed. At the Energy Institute, we have a long standing relationship with California’s utilities. About two years ago, PG&E as well as Southern California Gas Company, two of the biggest natural gas utilities in the world, shipped us their universe of residential natural gas bills, which we keep in a dark room in a basement, similar to Fort Knox. Ed and I use these data to do two things. One, we are the first paper to actually derive a true estimate of the price elasticity of natural gas demand that is not polluted by other changes in factors facing the household. I will spare you the details of how we do this. What do we learn? Turns out a few things. First, we find a very robustly estimated price elasticity of about -0.2. This means that if price rises by 10% percent, consumption decreases by about 2%. Second, the data tell us that households do not respond to the price of the natural gas they currently consume, since frankly you would have to be nerdier than Severin or Max to be able to do that. You would have to monitor prices in the wholesale market at Henry Hub Louisiana to achieve this. In order to react to last period’s bill, you would have to be a person that actually opens their utility bill/email right when it arrives and adjust your consumption immediately. What is more likely to happen is that the first time you notice your bill is when it is deducted from your bank account and you get a deduction notice. That is consistent with the response we see in the data. Possibly the most important finding in the paper is that since we observe monthly billing data we can estimate the price responsiveness by season. We also know whether a household is part of a subsidy program called CARE, which provides lower-income households with discounted electricity and natural gas. What we find is really new. We show that poor households in the wintertime display a price elasticity almost two and half times bigger than the average: -0.52. Rich and poor households in the summertime display an elasticity of essentially zero – meaning higher prices do not result in lowered consumption in the summer. Only in the winter and more so for poor households. Why should we care? In California and many other places, we roll fees and costs into a “tax” which is added on to the price of natural gas. This increases the price you pay. 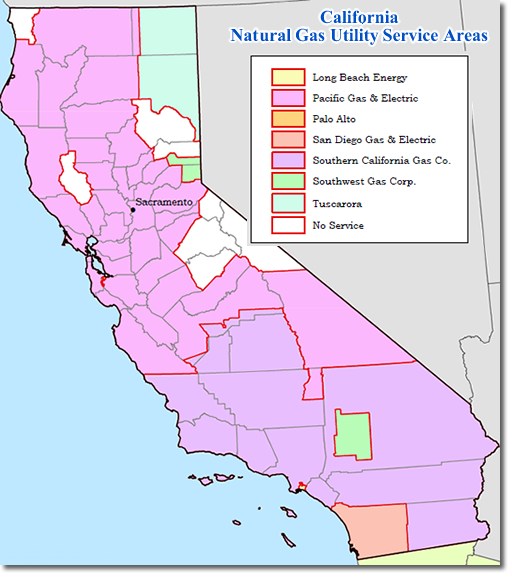 If we live in a place where climate and pollution externalities are appropriately priced already (call it California v2.0), this is not efficient as it makes households consume an inefficiently low amount of natural gas. Inefficiently low? Have you lost your marbles Max? No. I am still a card carrying economist that realizes that we derive benefits from consuming some natural gas, like not freezing to death in the winter. But that gas better be priced correctly. In this fictional place, you would want to shift those fees from the winter to the summer, when households are not so price responsive. This move would also benefit poor households more than rich households as they are more influenced by the artificially higher prices in the winter. A win win! Pro poor! And pro efficiency! However, if you live in a place where externalities like local air pollution and climate change are not in the price of gas, like current day Texas 1.0, these fees should be kept where they are or maybe shifted to the winter. Why you ask? If externalities are not properly priced, the price of gas is too low and people are consuming too much gas. The volumetric fees can in this setting mimic a tax on the externality. But that is a stealthy and crude way to the get to the right outcome, since we are not sure how far from the optimal tax rate these volumetric fees are. So let’s do the important thing first – price externalities and then think about shifting volumetric fees to the summer time, when the living is easy. Previous Previous post: Are We Promoting the Right Kind of Energy Efficiency? Agree with mcubed that the issue of time frame is crucial. Why do we care? Because California is going to have to greatly reduce natural gas combustion in order to hit the state’s climate targets (which, world leading thought they are, by themselves are only just barely adequate in light of the severity of impending climate change impacts). Any comment on that assumption? It’s been a while since I learned this stuff, can you help me understand why the externality cost should be allocated across seasons in inverse proportion to elasticity? Is the presumption that inelasticity is due to preference (“living is easy”) rather than some other effect like behavioral shortcuts (e.g. the gas portion of my bill in summer is relatively small, so I won’t worry as much about turning down the setpoint on my water heater the next time I see a bill) or a principal agent problem? A complication to the rule used for optimal commodity taxation is that quantity used differs dramatically between the summer and winter. If the same total dollar amount is shifted from winter to summer, its possible that the summer use is elastic enough that the reduced gas use might be just as large as what it would be if the tax was applied in the winter. “What do we learn? Turns out a few things. First, we find a very robustly estimated price elasticity of about -0.2. This means that if price rises by 10% percent, consumption decreases by about 2%.” Elasticity over what time period? Of course, the short run elasticity would be small, but the one we really care about for policy purposes is the long run elasticity because that reflects investments in energy saving measures. As for summer vs. winter elasticity, of course summer is much lower because residential use in the summer is only 10-20% of the winter use. I hardly notice my summer gas bill, but it’s the majority of my PG&E winter bill, even before we installed solar. Good economic analysis will show how elasticity plunges as use approaches zero. If anything that helps to reduce dependency on dirty firewood , I would agree with it. We are paying too much in healthcare premiums and we are not even discussing whether air pollution associated with firewood smoke as well as (loose PCV hose connectioins in many automobiles still unchecked and fixed at smog check stations). Ask around what a PCV hose connection is… if you are not mechanically inclined to know… Environmentalists seem to move on and leave these behind probably because it is not a rich man’s issue anymore. I think there would be little immediate residential response. However a customer wishing to reduce gas bill expense might be compelled to install ways to reduce consumption like solar PV, solar water heating, and other measures. Once these are in place they are permanent. Would the customer increase useage if the price dropped? Probably not much but other customers would increase. It’s a mix of time delayed responses which are very difficult to model accurately in my opinion. Long-term price elasticity of demand can be much different than short-term. I suspect that is due to the substitution decisions such as those you note. The price of gas is not very elastic now because there is no alternative to gas. We conserve as much as we can and use the same amounts even if price changes. 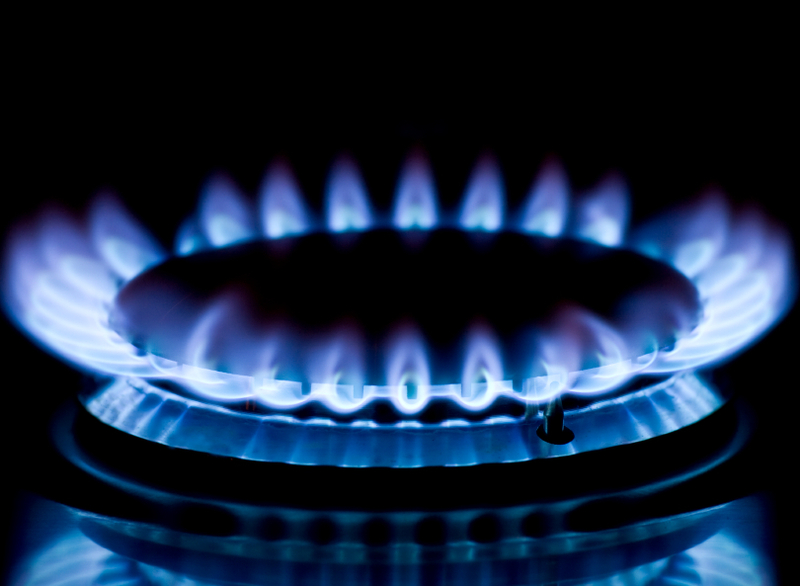 Energy Institute Blog How Much Do Residential Consumers Respond to the Price of Natural Gas?